Hello, still trying to make it work. Hello , still the same outline error : even now on shared hosting !! 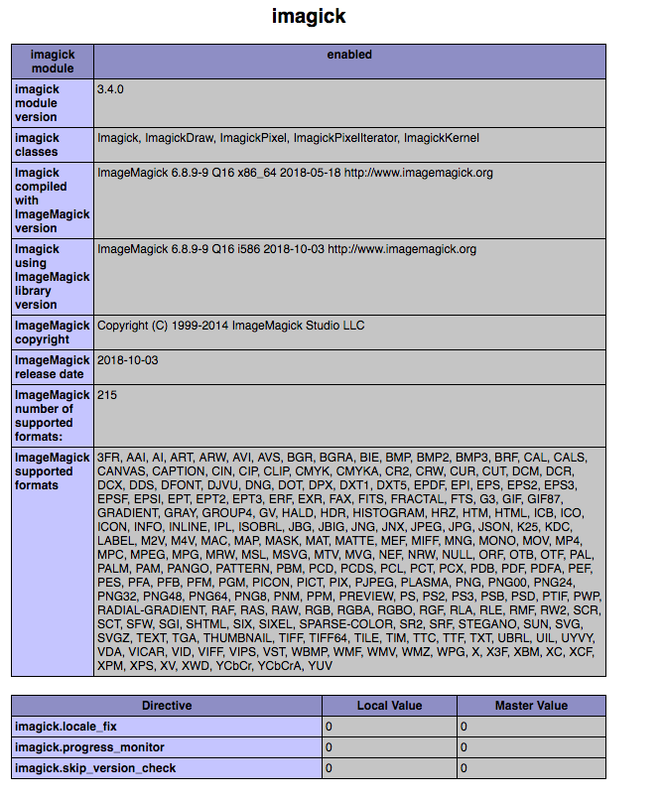 I use imagegik for years on 4 hosting . Can someone of image magick make search and fixe this .. Thanks It's very annoying, i will have to go back to GD library ?? An my code : i repeat it works with some fonts perfectly but with differents font it creates errors. 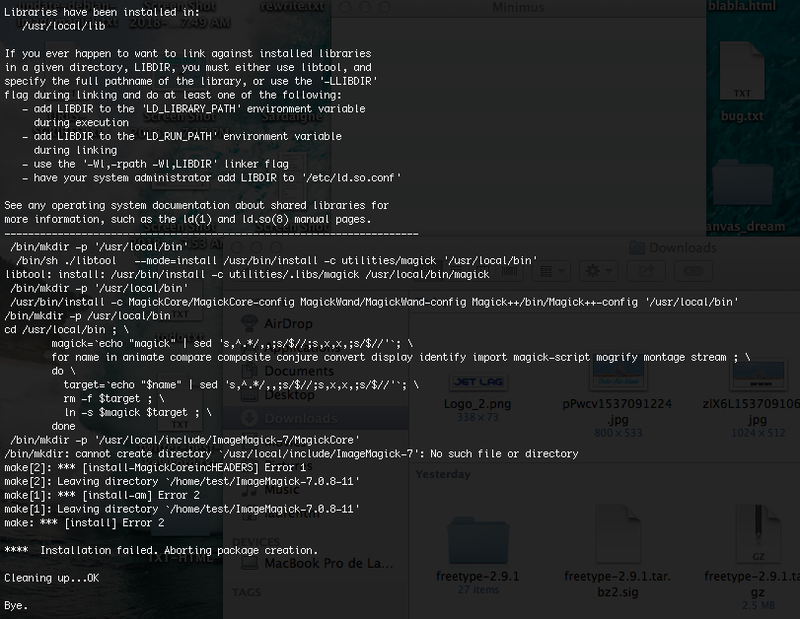 I do not use Imagick, but in command line with ImageMagick 6.9.10.16 Mac OSX, the following works fine. Note the need to turn off stroke using +stroke after drawing the blue background characters and before drawing the black ones. After 2 hours of test !! i've finally understand why ..
With otf it looks good !! 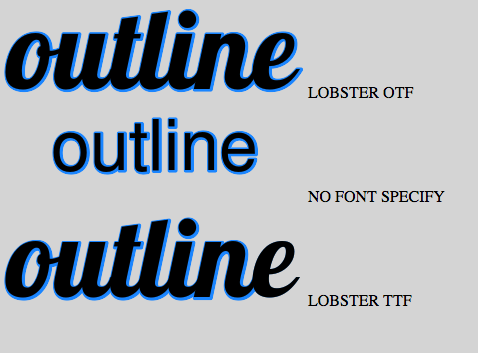 with ttf i've always errors with Lobster and others fonts. So cool !! i will have to change some fonts to otf or is it possible to update something in order to ttf files work like otf ? A library to update ? do you know the name of the library that work with ttf and imagemagick ? Hello, still the same for me.After hour of update and forum reading i can't find a solution to add stroke with Debian Jessie. I made test with other system on 3 servers and still the same. When a text is more that 6 characters with a font with ligature or round effect the line is broken. if someone see in my script something that can change it will be greatly appreciated. On a macbook on local it works. On a Debian server with packages it always failed !! a library must create a bug somewhere but where ? ?